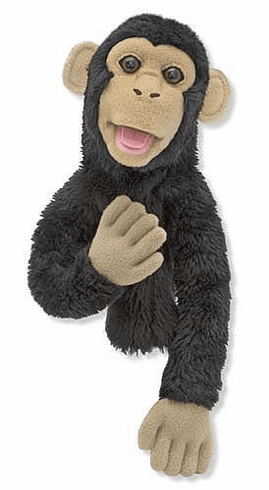 Young puppeteers will go ape with this easily animated chimp puppet. It's simple to liven up the action by using one hand to change facial expressions and the other hand to make him scratch his head, hide his eyes or wave to the audience! Detachable rod is suitable for lefties or righties.